Properties in Grindel Ski Lift average 4.5 out of 5 stars. 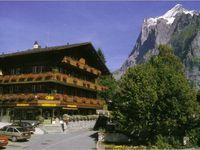 Top location for all activities in and around Grindelwald! Property 5: Top location for all activities in and around Grindelwald! Cozy apartment with beautiful views, quiet location. Property 27: Cozy apartment with beautiful views, quiet location. Property 39: Holiday-Apartment in Swiss chalet, in the valley of waterfalls. 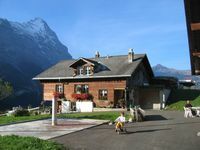 family-friendly apartment near Spiez u. Interlaken, max. 4 Ext. / 1 ​​Ki. Property 46: family-friendly apartment near Spiez u. Interlaken, max. 4 Ext. / 1 ​​Ki. We absolutely loved our stay and the hosts were wonderful. Heidi&rsquo;s cheese fondue and bread were so good. Nothing could have made our trip better, it was awesome. We look forward to returning in the future. On our trip to Switzerland, we stayed in four different places. By far, this was our favorite! It was like a &ldquo;home away from home&rdquo; experience. Very cozy, spectacular view of the mountains, fabulous pastries at the bakery and friendly owner and staff. Everything was within walking distance. If you don&rsquo;t want to walk, there is a bus stop just outside the bakery. We were given a free bus pass as part of our stay. Highly recommend this amazing get away!